Venturi 3D has created a new 3D printer which offers users a multi- material full-colour 3D printer that can be used for a wide variety of applications and comes pre-loaded with 1000 models ready to print straight out of the box. Watch the demonstration video below to learn more about the four colour 3D printer which has this week taken to Kickstarter to raise the required $180,000 needed to take the design into production. Pledges for the 3D printer start from $999 or roughly £762, with worldwide delivery expected to take place next year during June 2019. The developing team behind the unique 4 colour 3D printer explain a little more about its design. 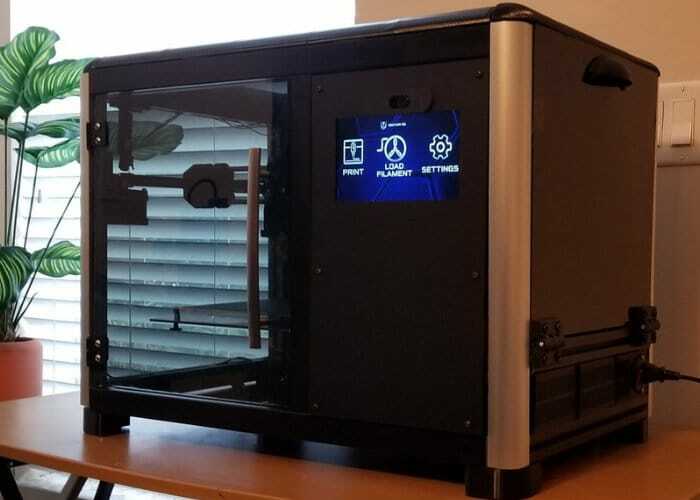 The desktop 3D printer is controlled using a 7 inch Android touchscreen display that connects to a SQL Database two track which 3D printing filaments are loaded into the machine using QR code technology and a front facing camera. For full specifications jump over to the official campaign page by following the link below.